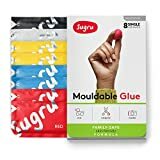 Sugru is a brilliant mouldable glue which you can use to fix or make almost anything. But it's not been a product we could recommend for children until NOW! Sugru have launched their Family-Safe product this year and we are so excited about it. It's still the same Sugru, but with a family safe formula so that children from age 8+ can now use it to fix and make their own stuff. 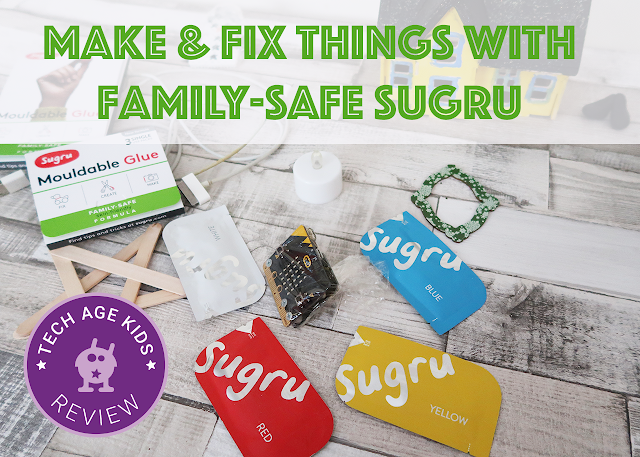 Disclaimer: Sugru sent us a Family Safe Sugru pack to review. Our opinions are always our own. 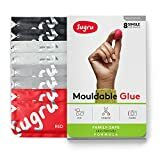 Family Safe Sugru comes in packs of 8 and you can get red, blue, yellow, black, white and silver. The colours actually mix so you can make any colour you like by mixing two or more colours together. The packs contain a small amount of Sugru which once opened, you need to use up. I've tried to store some leftover Sugru in a sealed foil and tin container, but it did harden. It's a good idea to collect all the things you want to fix or make with a specific colour and do it all in one go. Sugru is a great medium to use in making projects, because of all its properties. 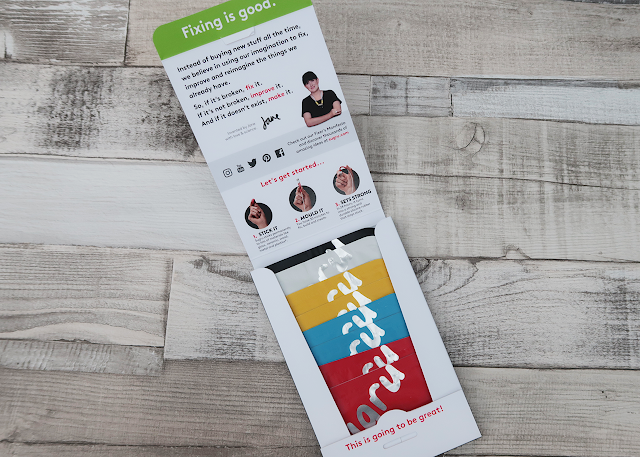 It's waterproof, strong and flexible. We've made accessories for our robots in the past and added Sugru to craft projects to stick things together or make 3D shapes. My son is working on a Christmas craft project and he used some red Sugru to fix Santa's boots (made with air drying clay). He thought it looks like some of Santa's trousers sticking out on the chimney. Sugru is fun to work with and feels a like play dough, but it is bit more sticky. 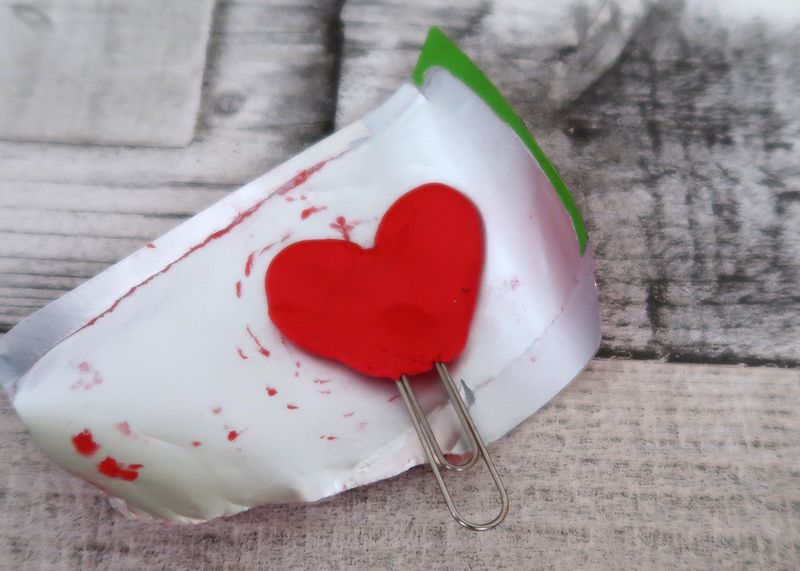 I tried to make a 'heart-head' using a paperclip for our new micro:bit in Wonderland book, but my heart kept sticking to the surface I was working on. I used the inside of the Sugru wrapper and it seemed to work better. I left it to dry overnight and it feels really secure and durable. Some other products we love also use Surgu to make interesting things like Arckit Play designing snowmen from their new Tiny Town range and Tech Will Save Us making accessories for the micro:bit. (You actually get Sugru in their micro:bit kit! AWESOME). Even better than making things with Sugru, is fixing things! I love the idea of teaching my children that we can first try to fix something, rather than throwing it away and just buying a new one. Find something broken and fix it and get the kids involved. We fixed our old cables for an iPhone and ancient iPad (which is still working). Sugru is great for this job because when it dries, it is still flexible. In the summer I fixed my son's trainers with Surgu which made them last an extra 6 weeks of hard playing over the summer holidays. Unfortunately, I didn't take a photo, but it worked brilliantly and keeping the soles attached to the shoes and water out! 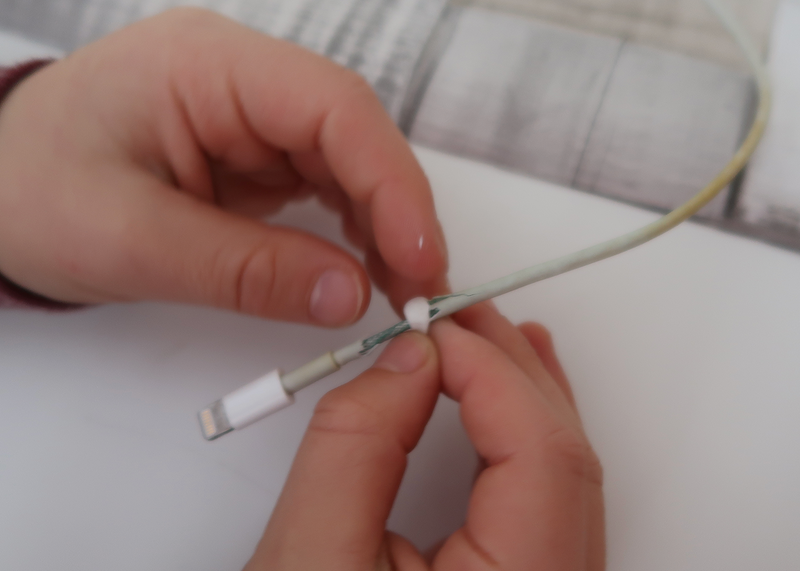 We love Sugru here at Tech Age Kids and think it's even better now, that children can use it too. I'm sure we'll be discovering many more ways to use Sugru this coming year. 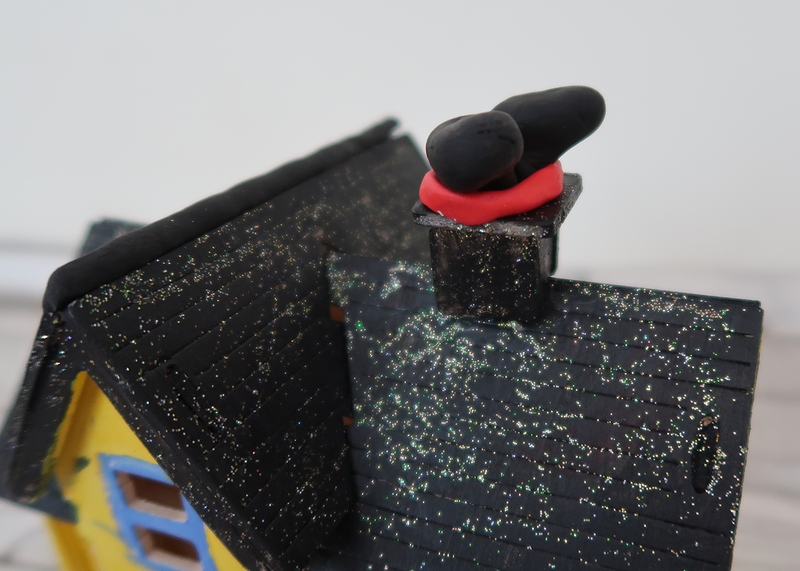 Keep an eye out for Sugru in our projects! Thanks Sugru for listening and making a great product for the whole family to get creative. PS. Sugru makes great Stocking and Party Bag Fillers!